This post is sponsored by Playtex. All opinions are 100% mine! There are so many decisions that new moms need to make when putting items on their baby registry. I remember being overwhelmed and not sure what I needed to ask for. I do remember going straight back to the diaper area and registering for a diaper pail. I knew that a good diaper pail was essential! My son was just out of diapers when Caroline came along. We opted to keep our old diaper pail when she came because it performed well for Jonah. It suited our needs at the time. A few months ago, I started to regret our decision to not replace it. It began to stink… big time! 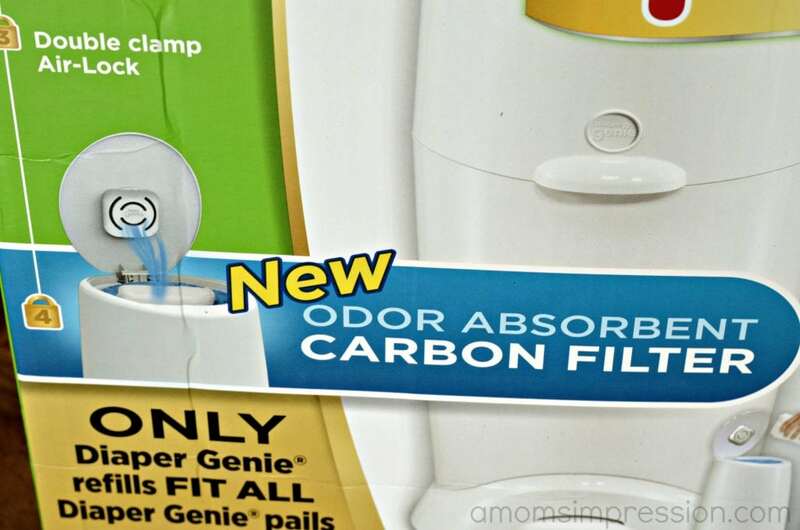 I was ecstatic when our new Diaper Genie Elite with Carbon arrived on our doorstep! I think I was so excited that I may have done a little dance. It didn’t take long for my new best friend to get unpacked and ready to change the air quality in my daughter’s room. Set up was easy. I tackled it alone when my husband was at the gym. It took me about 10 minutes to put it together and to figure out how it operates. 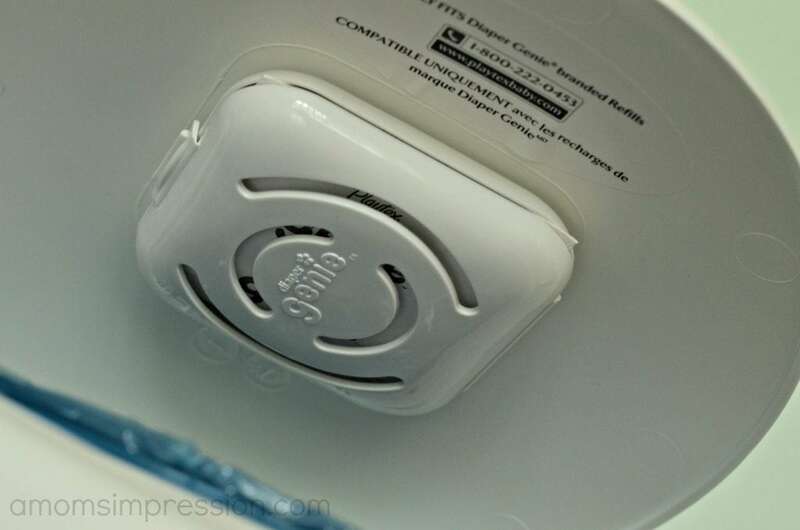 If you are not familiar with the Diaper Genie, it uses a special refill bag to help eliminate odors. 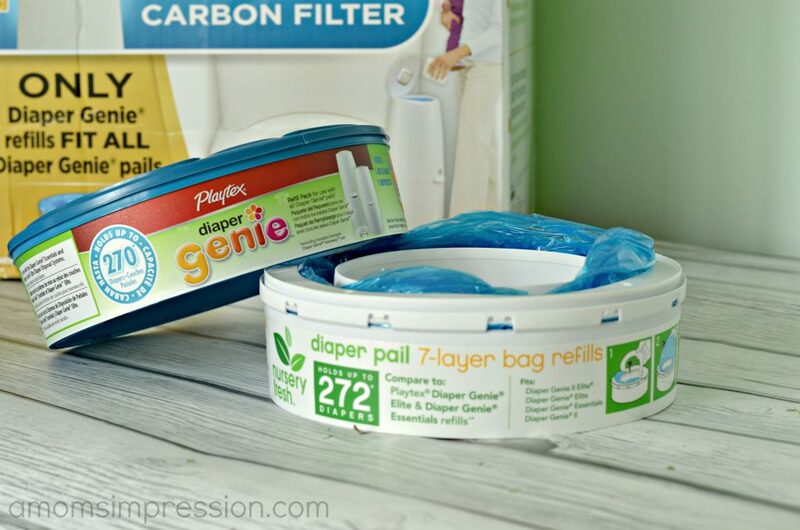 I had the opportunity to try out two different bag refill systems with my Diaper Genie Elite. I used the Playtex Diaper Genie brand refills as well as the Nursery Fresh brand. Both refills work and are installed the same way. I struggled installing the Nursery Fresh bags while the Playtex one fit perfectly (It probably was user error as the packaging is almost identical and I have been surviving on a limited amount of sleep these days). I found the Nursery Fresh brand plastic to be a bit thinner than the original bags from Playtex. 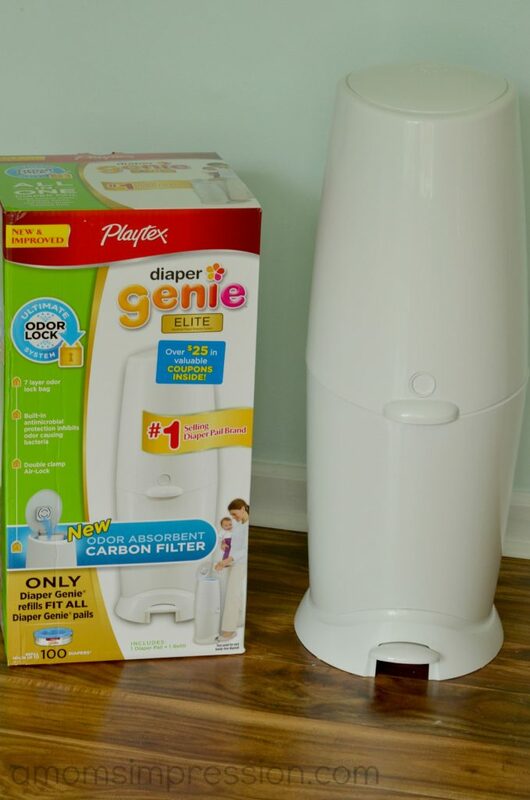 Overall both refills worked great with my Diaper Genie, but I will continue to use the original refills for two main reasons. First, the thinner bags make me a bit nervous about tears and the last thing I want to do is to empty the pail and have diapers spill all over the garage. Second, there was a distinct smell difference when I used the Nursery Fresh. As I mentioned before, I couldn’t get the refill to fit perfectly so that could be the reason, or it could be because of the thinner plastic. I think I may try the Nursery Fresh once more to see if I was the cause of the odor or if there are other factors (I wouldn’t bother but they are a little less expensive than the original brand and every dollar counts). The carbon filter at the top of the pail has made my daughter’s room a lot more pleasant to be in these days. I am kicking myself for thinking that we didn’t need a new pail a year ago. I hope my daughter will forgive me someday! 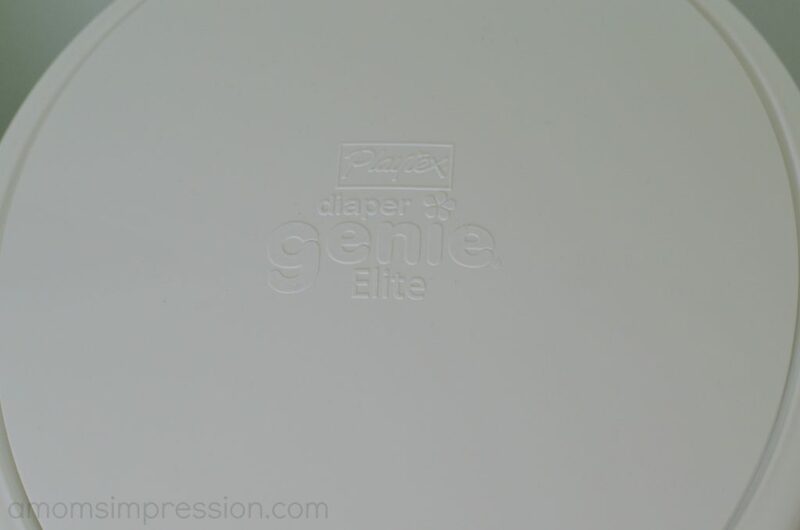 The Playtex Diaper Genie Elite is sold in stores nationwide and the refills are also available wherever Playtex products are sold. Find out why this is the number one diaper pail brand and should be on every new mom’s baby registry. « A High Flying Adventure Awaits at the #MaleficentEvent & #FireandRescueEvent and I will be there!! !